Through the grace of our Lord Jesus Christ, the love of God, and the communion of the Holy Spirit, we trust in the one triune God, whom alone we worship and serve. God comes to us and is most vividly known in the person of Jesus Christ who lived, died, and rose for us that we might belong to God and serve Christ in the world. 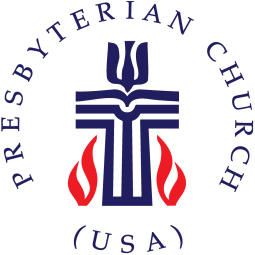 Following Jesus, Presbyterians are engaged in the world and in seeking thoughtful solutions to the challenges of our time. Presbyterians affirm that God comes to us with grace and love so that we might have eternal and abundant life. As Christ’s disciples, called to ministry in his name, we seek to continue God’s mission of teaching the Gospel, feeding the hungry, healing the broken, and welcoming strangers. God sends the Holy Spirit to dwell within us, giving us the energy, intelligence, imagination, and love to be Christ’s faithful disciples in the world.